Somehow, in all the excitement, Philomena had found herself swept out of the great hall, but once she was in the corridor, she stopped. 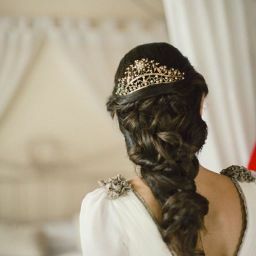 They wouldn&apos;t want her hovering around King Godfrey&apos;s bedside, nor was there any reason for to go back into the hall. She stood, undecided, for a moment, then turned her footsteps back towards her room. "My lady," said a voice, and then Philomena was pulled sideways into a room. She stumbled, and strong arms caught her, but when she looked up she realised the man holding her was the servant she had thought was following her a month ago. "You," she said, pushing away. "My lady," said the man again, bowing. She realised that he was speaking lingua Jovan, not Deusetatsi. "I regret we couldn&apos;t meet properly under better circumstances. I am Cervin." "I am an agent of Lord Valentin&apos;s," said Cervin. "Rumours of some trouble in Deusetats reached the Empress, and Lord Valentin sent me here to keep an eye on you." Philomena narrowed her eyes. "Why didn&apos;t you identify yourself to me, then?" "Lord Valentin wished that you not be worried unnecessarily." Cervin bowed his head. "I do apologise. I should have realised that you would be more likely to pay attention to servants than the average aristocrat. Now, it is imperative that we leave the castle tonight." "What?" 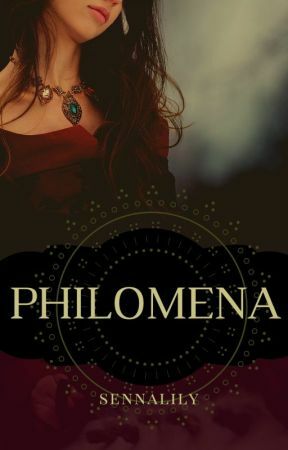 Philomena stepped back towards the door. "Because King Godfrey has been poisoned? But if he dies, then Tancred is king." "There is a coup under way," said Cervin. "I suppose you did not notice, but three of Godfrey&apos;s barons also keeled over. I believe the poison was in the cup, rather than the wine. Three of his barons whose heirs are too far away to get to Breg before the Kingmoot tomorrow." "The Cimbra barons outnumber the Teuta. They will endorse Valdon as king of Deusetats." "Then what will happen to the Crown Prince?" "I believe Valdon will have to move quickly to secure the throne. He will need to eliminate his rivals and find a scapegoat for the King&apos;s murder to shift suspicion away from him." "Then we have to get to Tancred," said Philomena, starting for the door. "My priority is getting you safely out of Deusetats," said Cervin, shaking his head. "The Deusatsi must resolve this on their own." "No." Philomena stuck out her chin. "Besides, if I disappear, surely suspicion will fall on me?" "If Valdon accuses you of murdering the King, he risks shifting Jovan&apos;s attention from Merot to Deusetats. That might be his end game, but he will want to subdue the barons before he engages us." Philomena considered this and nodded. "All right," she said. "If King Godfrey dies, then I will come with you. But I want to at least give Tancred the choice of coming with us to Jovan. Lord Valentin will know what to do." Bowing, Cervin said, "As my lady dictates. I will be nearby." The anteroom of King Godfrey&apos;s bedchamber was crowded with people when Philomena slipped in. Rainhart stood near the door, listening to what was going on in the bedroom. There was a pallor in his cheeks. Philomena ignored him. "Where is the Crown Prince?" she asked. The Steward answered: "He is with the King."